The animated prequel to the surprise hit TRAIN TO BUSAN and the latest from director Yeon Sang-ho, SEOUL STATION establishes a franchise of films that continually turns the modern zombie movie on its head. While the tradition of social commentary in Zombie films has been around since their inception the sheer volume of undead films/shows/books/comics... has lead to fatigue and its hard to care about the message any of these properties might be exploring. I heard great things about TTB right from the get go but I had no interest. I was done with the genre and needed a break. Kind of like SKA in the mid 90's. I loved it in small doses because it felt special, but once it was everywhere, I needed to pump the breaks. Eventually, I gave into everyone's recommendations and watched TTB. I was floored. I'm fairly certain it was the first time a zombie film made me cry. 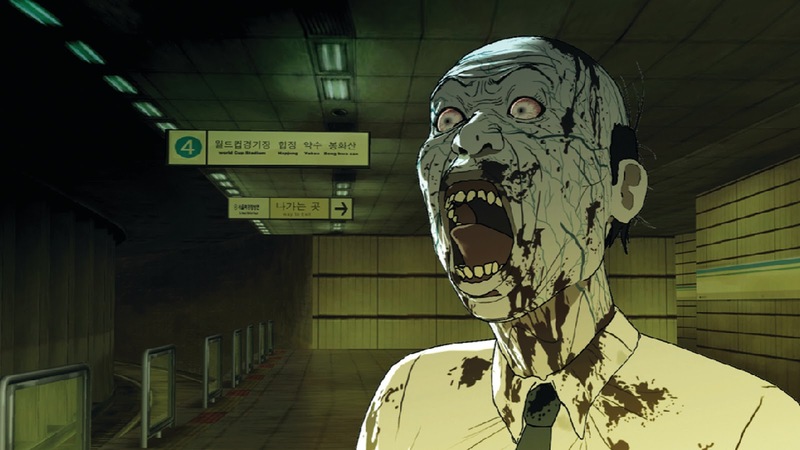 Continuing in a visual style director Yeon Sang-ho established in THE FAKE and THE KING OF PIGS, SEOUL STATION tells a separate story that takes place at the same time as TTB. While the film is described as a prequel, it feels more like a parallel, let's say it's a parallelquel. The thing that makes both TTB and SEOUL STATION work is the amount of time Sang-ho spends on character work. He allows his characters to breathe. Most horror films are more concerned with scares and gags than emotion and empathy. The simple truth is when you are allowed to emotionally invest in the characters on screen, you care when the horrors of the film reveal themselves. The true mark of a great horror film, in my estimation, is if the film works without the horror. SEOUL STATION could easily remove the zombie angle and it would be an interesting "family" drama about regret and redemption. If you have trepidation going in, that this is a cynical cash grab like the animated straight to VOD RESIDENT EVIL films, don't worry. You are in the hands of a competent filmmaker who chose to tell this story, this way. I would love to see further films set in this universe as Sang-ho has breathed new life into this undead genre. I have to admit I kind of hate myself for ending this on such a stupid pun. Order the film on iTunes here. 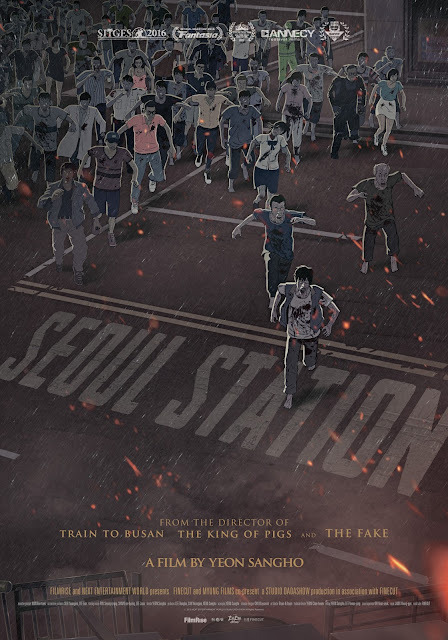 Seoul Station - Trailer from FilmRise on Vimeo.